This cute musical is the ideal companion for the first months. Its tune soothes your child. 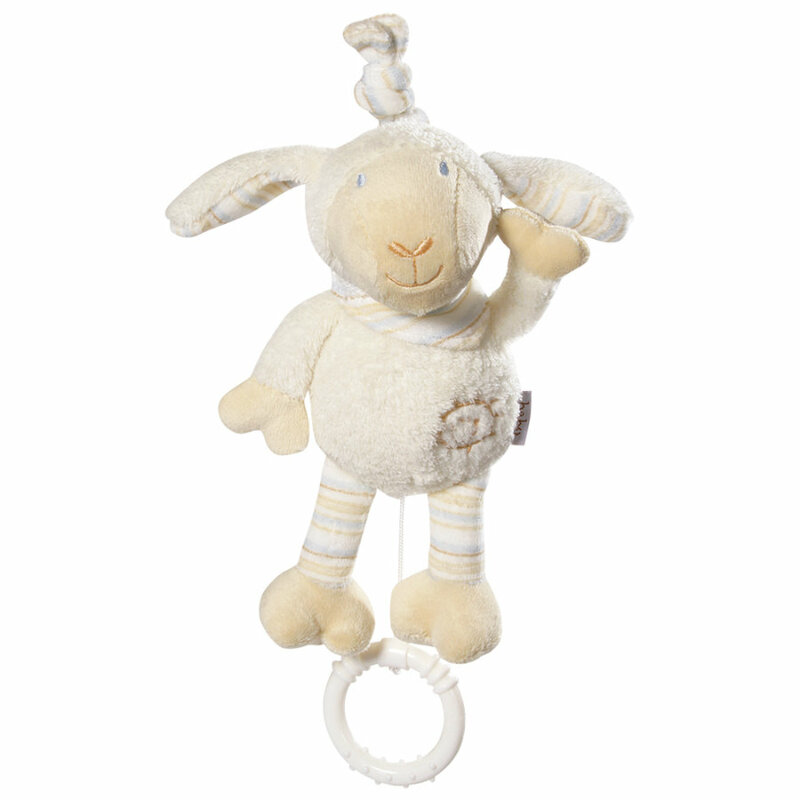 Soft, high-quality material invites your little darling to cuddle and hug the little sheep. The big ring at the end of the cord is easy to grasp. Choice of tune not possible!